A brief look at the top selling children's iPhone and iPad app chart is a sobering experience. Those of us lucky enough to have a shiny new tablet device costing hundreds of pounds, which we then let our sticky-fingered little mites onto for a moment's peace and quiet are, it seems, a fairly unimaginative lot when it comes to searching out apps. A recent Guardian article highlighted the plight of app studios who consistently knock it out of the park when it comes to producing children's games and storytelling apps (or even e-books) that put the current licensed dreck to shame. Apps strung together lazily, by the numbers, in order to make a quick buck seem to be the favourites whereas others just disappear without a trace, languishing in the nether regions of the app charts and never seeing the light of day. So without further ado, here's a dream top ten list (in no particular order) of apps and developers that you really ought to investigate instead of those dreadful Peppa Pig / Barbie dress-up games. Full links are provided for the UK iTunes Store and versions for the iPad. Mademoiselle Daisy's New Friends is the story of a lovely old lady who is moving into a new apartment. She's a little lost and lonely at first, but hits on a brilliant idea that will help her become a social gadfly. The story's panels are so richly designed and beautiful that you'd almost wish (if you're a hoary old traditionalist like me) that they'd produce a printed picture book version of the stories. As they are though, as interactive apps, the Square Igloo stories are sumptuous and luxurious. Parents might baulk at the app prices but consider this: Where else could you get a deliciously illustrated and engaging children's picture book reeking of this sort of quality for £2.49? 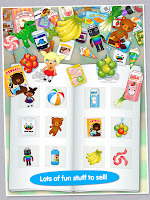 FeeFiFoFun are app developers, avid kickstarters and a collective with a whole brace of great ideas and stories to tell. 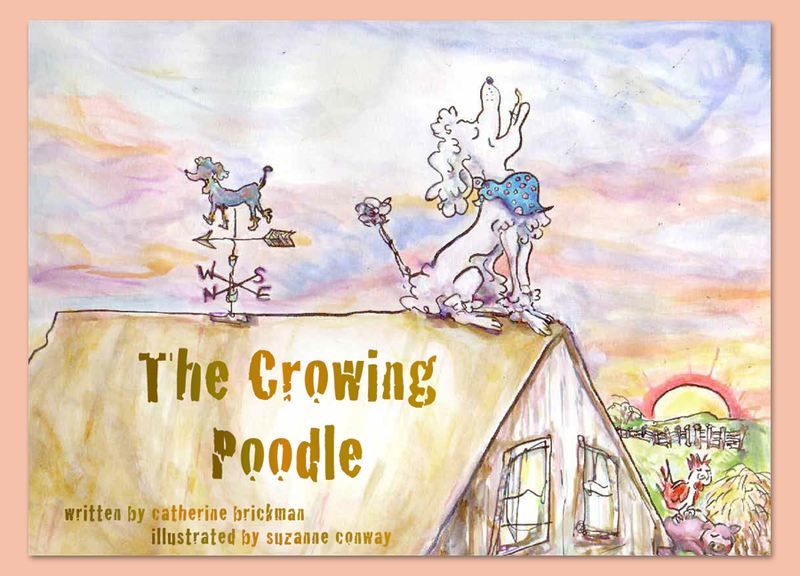 "The Crowing Poodle" is the cute tale of a doggy with an identity crisis, who is driving everyone slightly mad by behaving like a cockerel first thing in the morning. Catherine Brickman and Suzanne Conway's picture book is presented as a freebie interactive web resource, and as it stands, it puts a whole lot of paid-for children's e-books to shame with an entertaining story accompanied by top notch artwork. The FeeFiFoFun Website is definitely worth a visit to see what they're up to and see other apps and stories that are available. They're currently trying to get funding for various kickstarter projects so if you're feeling generous, drop a few quid in their kickstarter pot and see what grows from your donation. This is really something special. An anti-bully app that delivers an interactive story that is presented in a really unique way. The hero of the story, a young lad named Benjanim, is specifically designed so that children can identify with him wholly throughout the story. Starting off as a rather forlorn and stooped figure, Benjamin's confidence and stature grows as the story progresses. The way you interact with the app is really quite something, and it encourages a child's natural sense of curiosity and their need to explore. The message behind the story is serious and weighty but if I had my way, this would be hard-wired into every single tablet device in every single school. Now this is a genius idea, and one that could revolutionise the way authors get their books into electronic formats. Me Books is a fairly simple idea. Make some of the greatest children's books available via a clever portal store. Nothing new there so far, right? But the genius here is that the books are read by celebrities AND also tailored so that children can read, record and re-play their favourite books using their own voice. New and Old books can be retrofitted with 'hotspots' - little snippets of sound effects or children's dialogue that they make up themselves to make the books more interactive and fun. 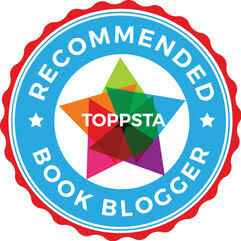 It's such a simple idea, and the intuitive user interface on MeBooks is also a winner. It's not yet available but expect a HECK of a lot of fuss about this when it launches. It might not be popular with publishers (I'm still not exactly sure how this is going to work if you want to bring in your own books to digitise, the legal ramifications could give anyone a serious ulcer) but if it's successful, it could pave the way for great things. The French are seriously leading the charge when it comes to developing brilliant story apps for tablet devices. There are so many brilliant studios in France, tapping into the rich vein of creativity and artistic innovation that sizzles in French art colleges and design houses. 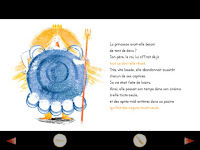 La Souris Qui Raconte develop a series of dual-language storytelling apps including this stunner, The Ogress (La Ogresse) which tells a wonderful tale in the style of classics like those by The Brothers Grimm. Girls will love the (rather naughty) Princess Occidane and all the trouble she causes her two Fairy Godmothers - who get rather fed up with her bad behaviour and decide to teach her a lesson. Beautifully illustrated and intuitive to control, The Ogress is one of many story apps by La Souris so definitely check out their iTunes Store Front. There's a really good reason why Nosy Crow win so many awards and are heaped with praise by parents and children alike. Their apps and stories are absolutely brilliant. It comes as no surprise to know that one of their developers used to work at Rare (the ex Nintendo developers who were also Ultimate: Play the Game at one time). 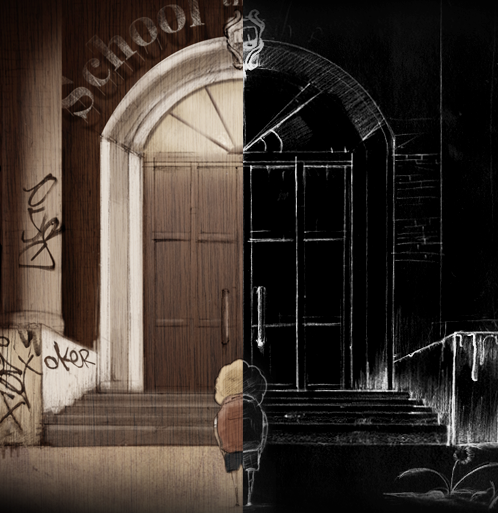 Nosy Crow have a knack of taking standard stories (like Cinderella) and turning them into interactive adventures par excellence. Parents know only too well the sort of chaos that ensues at home as soon as the kids get home from nursery or school, and start pulling all their toys out, playing with them for 5 minutes, then wandering off to do something else leaving a trail of devastation in their wake. Table Tots is a bit like that. An app that allows children to play with various educational games and fun that soon descends into manic messiness and busy fun on screen. The beauty of Table Tots is that it's far easier to tidy up afterwards! Spinlight Studios have developed a whole range of apps, from educational stuff like Table Tots to storytelling and interactive fiction like their brilliant Pixel and Parker stories. Engaging sound effects, bright colours and excellent artwork abound in their apps and they're extremely reasonably priced so if you're looking for games and stories to progress to after you've hoovered up all the free stuff your iPad can possibly hold, these are a good stepping stone to encourage you to dig your loose change out of your wallet and spend it on something a little more satisfying than a skinny latte. 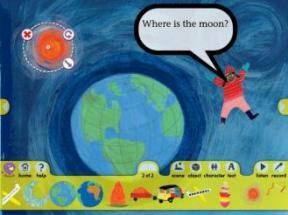 No list of key children's app developers would be complete without mentioning the mighty Toca Boca / Bonnier Digital. They have the knack of producing interactive games and apps that can keep children absolutely absorbed and hooked for hour after hour. Consider how much it's worth to you to get a golden hour of absolute peace and quiet where your child is deeply involved and intrigued by something if you think Toca Boca's apps are costly! 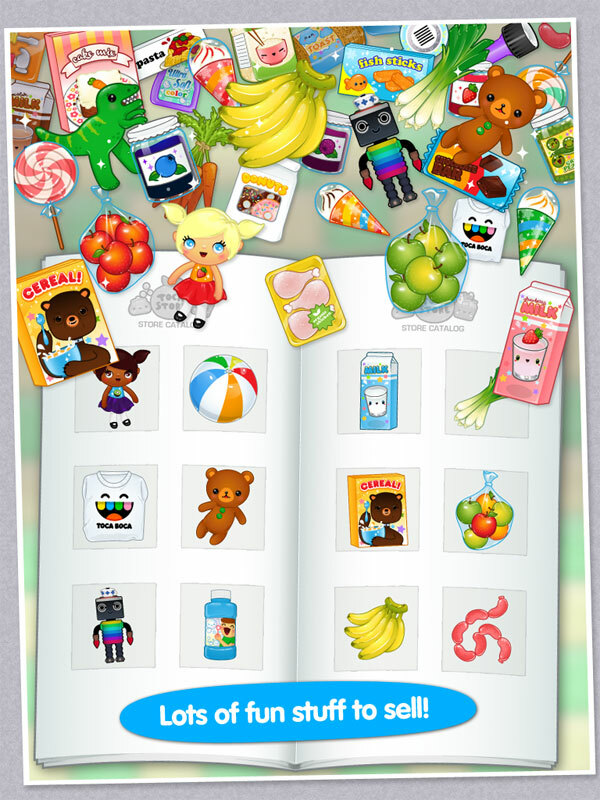 If you missed out on Toca Store being offered free recently, don't despair. 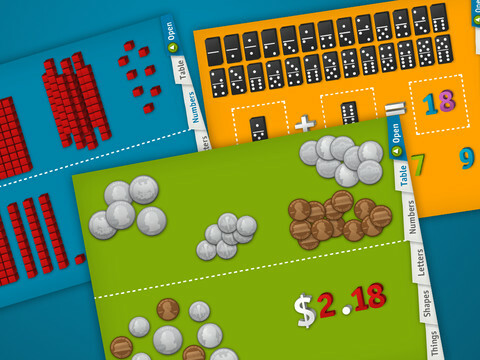 It's still cheap enough and offers enough entertainment to warrant a look. The key here is open-ended play. Toca Store lets children set up shop, set out their wares and then invite customers (usually mummy and daddy, or long-suffering siblings) to come and buy them. With intuitive drag and drop controls, entertaining sounds and music, and the sort of flair for art and design we've come to expect from Toca Boca, Toca Store is simply excellent and excellently simple. Check out Toca Band too while you're at it, the latest release from Toca Boca - which is getting some seriously rave reviews. The requirements for children's stories don't change, no matter what the medium of delivery. Print books need engaging stories with great artwork, and something to spur a child's imagination. Interactive stories on tablet devices are exactly the same and this is something that publishers aren't quite getting to grips with. Thankfully Icky Pen understand this fully, and their range of children's interactive fiction absolutely epitomises how you can stretch the media to create a unique interface between your authors, illustrators and their intended audience. 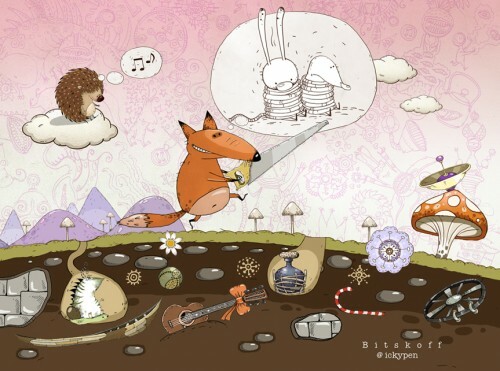 Keep an eye out for upcoming release "Icky Fox and the Rainbow" which is a fantastic, funny and sometimes rather mischievous story featuring a dubious fox and his food-hunting adventures. "Free" is the toughest price to match in any electronic market and "Free" is the price that causes developers, publishers and authors / illustrators to grow more grey hairs than any other price point. The problem is the expectation that once parents have spent a small fortune on a tablet device (which, thankfully, is becoming a thing of the past thanks to high powered cheap tablets hitting the market courtesy of Google and Amazon), you really don't want to shell out more money on expensive apps that might only provide an hour or so's entertainment. 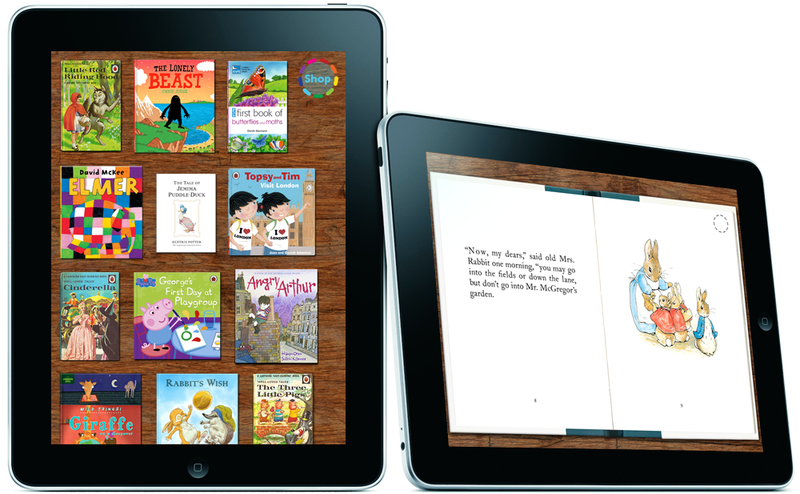 Collins Big Cat Storytelling Apps are great, they're free, but more importantly they draw attention to what the publisher is doing elsewhere in its electronic publishing business. When you see a really good free app that is excellent quality, you're probably more likely to look to that developer / publisher in future to see what else they offer, and if they offer reasonably priced apps that lift the bar a notch more, then it's a relatively safe purchase. The problem with "Free" on the app store in particular, is that it's often used as a way to drive premium-priced microcontent through to consumers via in-app purchases (which any sensible parent will instantly switch off on day one of ownership of any new tablet!) In the case of the Big Cat Storytelling apps, you can grab 8 brilliant fully-fledged storytelling apps for 0 pounds and 0 pence without having to worry that you're being stealthily fleeced. The decision is up to you whether you'll want to pay for Collins other superb paid-for apps and with the sheer quality of what's on offer, you will definitely be more inclined to. Letting kids' imaginations loose and involving them in the story telling process with their own creations is part and parcel of what Collins are doing. The more developers that get this message, the better and the more developers that adopt the approach of putting out excellent quality free apps alongside their paid-for stuff, the more likely we are to get past this crazy mentality of reaming the customer for all their worth or being a cheapskate customer when it comes to shelling out real money for really good quality apps. Phew! That's the end of our article. I hope some of the links and apps mentioned give you food for thought next time you switch on the iPad or Android Device and start trawling the e-stores.